Crystal bowls, also called crystal singing bowls, are made from quartz crystal that was crushed and heated at very high temperatures. The crystal undergoes this process in order to become a singing bowl and express the potent powers of crystal and sound united in one tool. 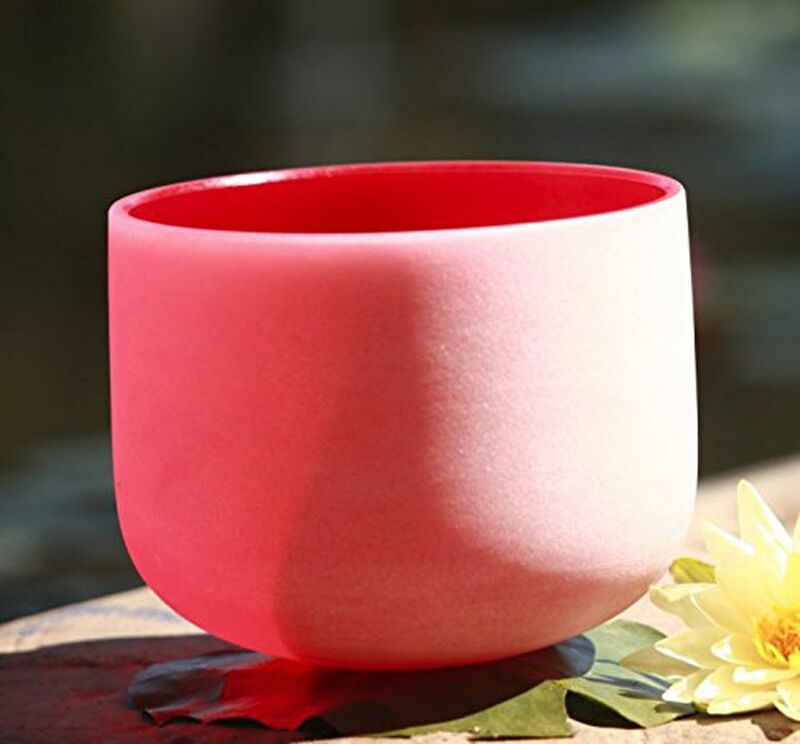 Most crystal singing bowls are made from quartz crystal (clear or frosted finish), but you can also find crystal bowls made from rose quartz, celestite, amethyst, and citrine. Even bowls made from quite rare crystals such as apophyllite, ​azeztulite, kunzite or moldavite are available from some crystal bowl retailers. Crystals will bring their own unique properties to the healing sound of the crystal bowl. For example, a ​rose quartz bowl will definitely be an excellent choice for healing emotional trauma, while a crystal bowl made from amethyst will help open the connection to higher realms. Crystal bowls come in several sizes - the smallest one we've seen was 6 inches and the biggest was 24. Most often you will find crystal bowls in specific notes - C, D, E, F, G, A, B - that correspond with human body energy centers (chakras). The vibration of a specific sound works to unlock the blockages one might experience in a specific body area. Sound also works to purify and strengthen the energy of any space, as crystal bowls are, in essence, singing bowls made of a finer vibration material - the quartz crystal. So yes, a high-quality crystal bowl is definitely an excellent feng shui tool for your home. You can use your crystal bowl the same way you would use the singing bowl - in the space clearing applications, and you can also use the bowl in crystal healing, as you would use various crystals based on their energy properties. How are crystal bowls different from singing, or Tibetan bowls? It seems like the sound of crystal bowls lasts longer than that of singing bowls. It also sounds louder but has a finer, lighter vibration (even in its deepest tones). A crystal bowl becomes a powerful feng shui tool in one's home or office because it is made form a living material - quartz crystal. We know that crystals have the ability to not only purify energy but also balance, amplify and transform it, which makes the crystal bowl a beautiful, potent feng shui cure for you and your home. The shape of a bowl - as an expression of an open receptacle ready to be filled with all the goodness - is also an excellent feng shui decorating shape. It combines the harmonious, graceful openness and acceptance (yin energy) with the powerful, primary energy of emptiness ascribed to a pure mind (yang energy). Because crystal bowls are quite expensive - ranging anywhere from $200 to over $1,000 - you can start by working with specific crystals and a metal singing bowl in order to experiment with the power of crystals and sounds in one session. For example, you can surround your singing bowl with several crystal points on your altar. Or, you can charge specific crystals with the sound of your singing bowl. Once you experience the combined power of the two - crystal and sound - you might find yourself planning to buy a crystal bowl yourself.